27 Mar Why does my business need social media? We hear this question time and time again, but did you know that social media marketing has a 100% higher lead-to-close rate than outbound marketing? No matter what you’re selling, and who you’re selling it to, using social media as a marketing tool can only help you grow your brand. Social media is such a part of modern life, that not having a presence often leads to mis-trust from potential customers. Using social media for your business will increase your SEO rankings. Google and other search engines are always on the look-out little extras like these to give your rankings a boost. And, by referring people from your social media page to your already SEO optimised landing pages will only make your pages climb much faster! You can drive effective targeted traffic using social media. When you create a new page on your site, you want people to see it, but you don’t want to HAVE to pay for people to see it. Posting about it on social media is sometimes all you need to drive traffic there organically. Links on pages like Reddit or StumbleUpon can drive thousands of visitors. Why wouldn’t you do it? Gain real life insights into your consumer base. How could you possibly learn more from your customers than being in amongst the action with them on social media? Keeping up to date with what people are really saying about your business, allows you to adapt accordingly. Build a reputation for great customer service. Having a social media presence enables you to directly respond to customer criticism, and praise instantly! People have come to expect a response on social media within the hour, and social media is fast becoming the most popular way of voicing their feelings. Handle complaints well and people will notice, take a look at this great example of how you can make social media work for you! Social media allows for a high level of customisation and targeting that you don’t get elsewhere. Facebook for example, allows you to narrow down by location, education level, relationship status and pages they’ve liked. By doing this, you are able to reduce the amount of money wasted on a demographic you were never trying to reach. You could never do this offline, so why not use it to your advantage? Customers you didn’t know existed will be able to find you, and buy from you! You’ll be able to join groups related to your product, industry and customer base, and post links encouraging people to check out your site! We’re all guilty of ‘Facebook stalking’ in our free time…why not use your new-found detective skills to your advantage within your business? Watching your competitor’s activity not only allows you to keep up to speed with what they’re doing, but may also give you additional insights into your industry that you may have missed! Have we convinced you yet? 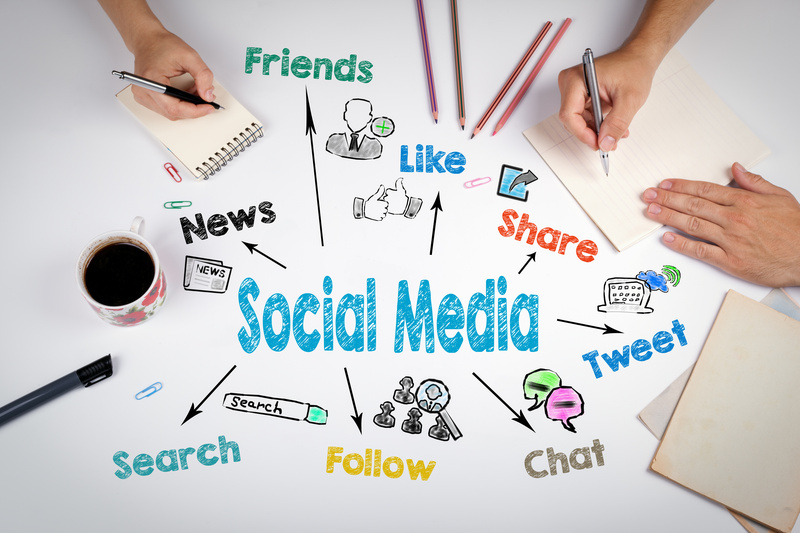 Get in touch today to discuss a future social media plan, and how we can help you!